Link Global Management can provide a full range of payroll services in Portugal. The individual will be engaged on our payroll and income is paid in the form of salary, allowances and expenses, the proportion of each part depending on individual circumstances. Link Global Management will discuss your personal circumstances with you and help you to minimise your tax and social security liabilities, within the boundaries of Portuguese legislation. Income is managed tax efficiently, not just in Portugal but also in any other country where there may be a liability. A tax return is filed each year in Portugal with advice and assistance from Link Global Management who will also provide help with filing tax returns elsewhere, if required. A special regime applies to individuals who become tax residents of Portugal and have not been taxed as such in any of the previous five years. Non habitual resident status applies for up to 10 years, and requires the taxpayer to be registered as non habitual resident with the tax authorities. PrincipaI aspects of this regime are summarized below. Employment income and business or professional income derived from high value-added activities of a scientific, artistic or technical nature (including activities of architects and engineers, artists, auditors and tax advisors, physicians, teachers, other professionals, board members on companies with approved investment projects and senior employees), are taxed at a flat rate of 20% on net income. He or she stays in Portugal for more than 183 days in a calendar year. He or she has a dwelling in Portugal, which may imply his or her intention to use it as his or her habitual residence. The individual's spouse is resident in Portugal. 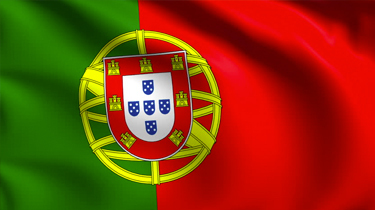 Thinking of contracting in Portugal?